May 30, 2011  Courts in West Virginia and Delaware will consider preliminary injunctions Tuesday against Wednesday's expected merger of coal mine giants Massey Energy and Alpha Natural Resources. Massey owns the Upper Big Branch mine in West Virginia where 29 mine workers died in a massive explosion last year. The disaster figures into the attempts to block the merger by institutional investors. 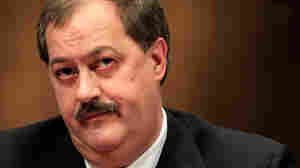 May 24, 2011  According to new analysis, Massey Energy executives and members of the company's board of directors will share $196 million in compensation. 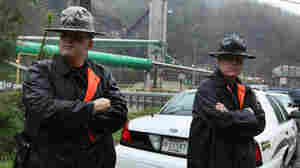 The executives were at the helm when the nation's worst coal mine disaster hit their Upper Big Branch coal mine. May 23, 2011  Some Massey shareholders believe the takeover will kill their existing lawsuits against the company. The lawsuits accuse officers and board members of reckless, unsafe and negligent management. May 20, 2011  There's little reaction so far from coal mine owner Massey Energy following a scathing report about last year's deadly explosion in one of its West Virginia mines. Twenty-nine workers died at the Upper Big Branch mine. Independent investigators say both the company and federal regulators share blame. May 19, 2011  The first independent investigative report about last year's disaster at the Upper Big Branch mine was released Thursday. It details the corporate and government failures that led to an explosion that killed 29 mine workers in West Virginia. May 16, 2011  An independent team will present preliminary and dramatically different conclusions about the cause of last year's Upper Big Branch mine explosion. May 6, 2011  Some rescuers describe an effort that failed to abide by mine rescue protocols designed to keep rescuers from becoming victims themselves. May 5, 2011  The mining company is proposing sealing a mine that was site of the worst mine disaster in 40 years. May 3, 2011  A government official says the shutdown signals that some mining companies "still aren't getting it... despite the tragedy at Upper Big Branch last year."